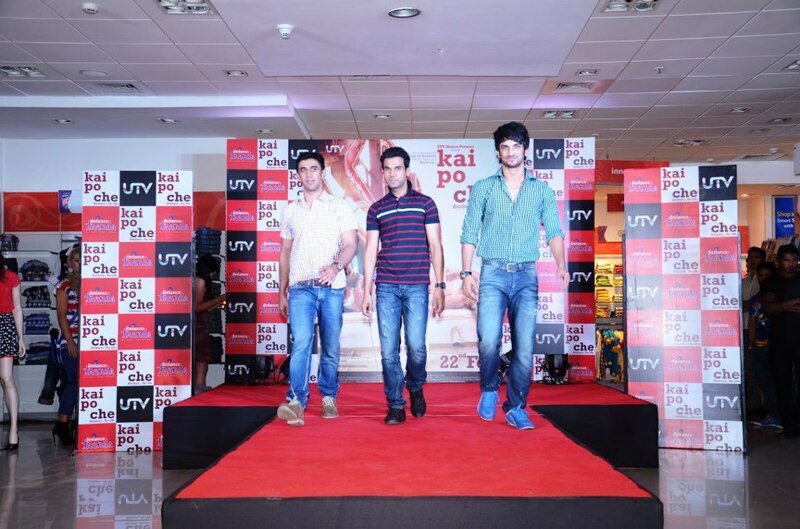 KAI PO CHE Launches its own collection! 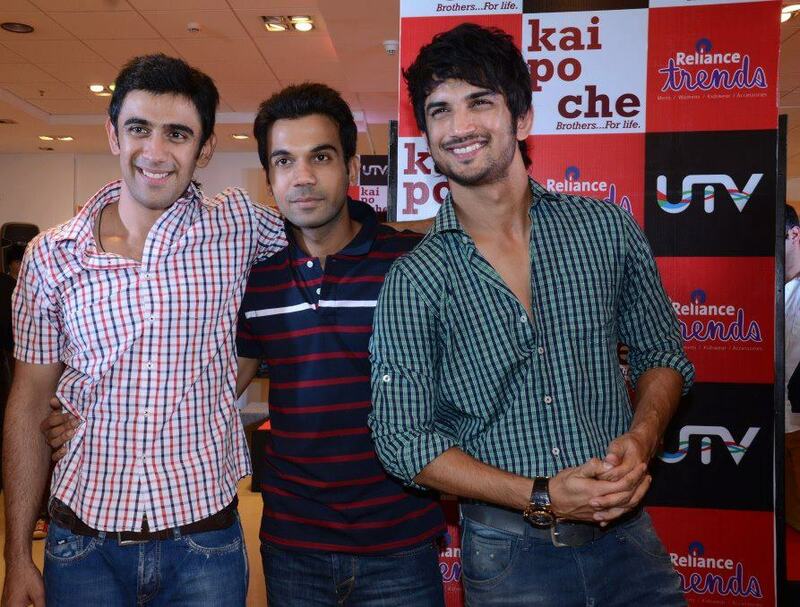 Last Friday’s most awaited movie, Kai Po Che had its own clothesline launched recently by the star cast from the movie – Amit Sadh, Rajkumar Yadav and Sushant Singh Rajput – in a fashion show at Reliance Trends store in Infiniti Mall, Mumbai. Inspired by the movie, the highlight of the collection is the wide range of check shirts as seen in the movie worn by stars and premium cotton linen shirts in wide range of pastels colors starting at just Rs.799. Well, so what is the most fashionable thing about the movie we ask. “Definitely the friendship,” says Amit signing off. The film has opened to fabulous reviews, be sure to check out what we thought!